I write as a hobby and I enjoy detailing my experiences for others to read. If you've ever visited Bounce, then you'll know that it is a fun venue for the whole family to enjoy on the weekend, weekday, or school holidays. The first time I visited Bounce in Glen Iris was with my friends on a quiet weekday to beat the crowds. We were greeted by energetic staff who psyched us up and told us how much fun the place was. We purchased our special grip socks for $1.50 and then headed to the trampolines. We had the best time doing flips on the performance trampoline, bounce basketball, versed each other in bounce dodgeball, and had a jump on all the trampoline stuff in the free jump zone. We decided to stay for two hours (you pay by the hour) and by the end of it, we were very sweaty and puffed out. It certainly is a fantastic place to go for exercise. Upstairs is where parents can chill out, they have lots of seating plus a cafe that serves snacks and hot food. Saturday nights at Bounce are truly epic and it's the ideal place for young teens to hang out or even adults for something different to do. They play a bunch of great music hip hop, RnB, pop, trap beats while you bounce the night away for only $25 for 3 hours. They have cool lighting effects too which makes it feel like a true party. I attended a Saturday night session with some friends recently and thought it was amazing, however, three hours of jumping can get extremely tiring. 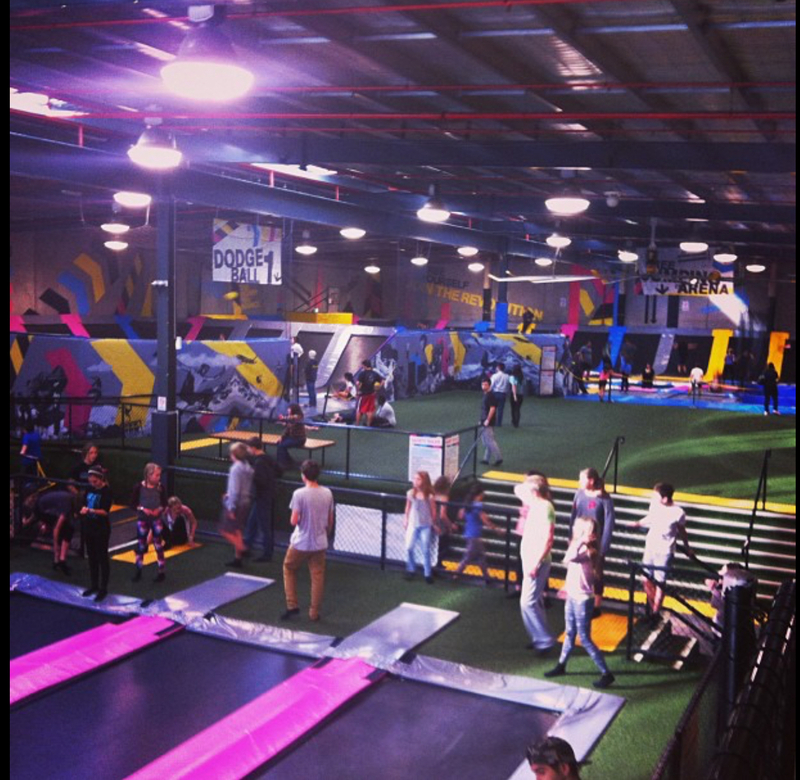 Overall, I think Bounce is one of the best trampoline centres in Melbourne. They have three locations which are Glen Iris, Essendon, and Blackburn North. Make a day of it and attend with your kids, partner, or friends and have an awesome time.